An application for a nine-storey hotel next to the Valyou supermarket in Mellieħa is being recommended for refusal on grounds it would exceed the height limitation for the area. Spread over a plot of land with a footprint of 3,600 square metres, the proposed development incorporates 120 residential units, shops, a hotel and two underground levels for parking and garages. The application was filed in 2017 by Gozitan development company J. Portelli Projects, who are also behind Mercury Towers, in Paceville, together with Agius Projects and DTX Projects. The site, which occupies an entire block surrounded by Triq l-Iżbark tal-Franċiżi, Ħalq iċ-Ċawl, Il-Fortizza and Triq in-Nases, was government-owned until 2015 when it was sold following a public call. Though the selling price was never made public, the conditions stated that only bids of at least €2.5 million would be considered. The decision had dealt a fatal blow to the local council’s plan to acquire the land to build a community centre complete with an indoor pool. The proposal had been floated in January 2014 in a presentation delivered by Mellieħa mayor John Buttigieg during a special Cabinet meeting held in the locality. From the very beginning, the application for a hotel and apartments was met with objections from residents and, later, also from the council which is insisting that such a development would be “too insensitive and, hence, incompatible” with the surroundings. Concerns had also been raised on the increase in traffic the complex would generate and the visual impact such a massive block would have on its surroundings. Though the application is still pending, the Planning Authority’s case officer is recommending the planning board to reject the proposal. He noted in his report that the height limitation for the area was three floors plus basement, with the maximum height of the building envelope being 16.3 metres from the highest street level. However, the application qualified for two additional floors in view of the height limitation adjustment policy for hotels, meaning 23.8 metres in total, including one receded floor. In view of this, the case officer concluded that, in order to be compliant, a number of proposed residential apartments in the fifth and sixth floors had to be eliminated, while others in the fourth, fifth and sixth floors had to be redesigned to have a recess. Similarly, in the hotel section, the eighth floor had to be eliminated completely while the seventh would be redesigned to incorporate a recess. Though the developer was notified about these issues, he refused to comply, insisting the submitted plans were in line with the policies. 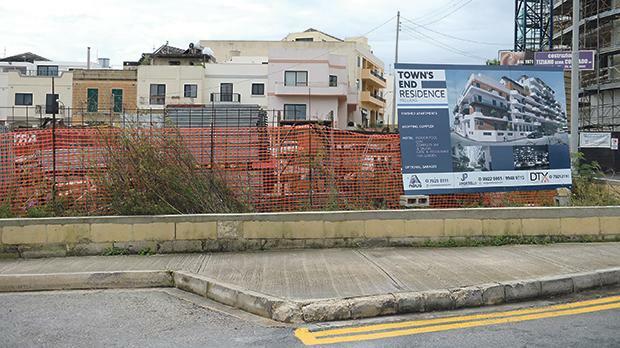 Consequently, the case officer is recommending the board to refuse the application on grounds that the proposed building fronting Triq Ħalq iċ-Ċawl and Triq in-Nases would exceed the maximum local plan height limitation and corresponding height in metres.